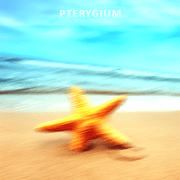 What is Pterygium? A pterygium is a wedge-shaped growth of thickened tissue that covers the white part of the eye. 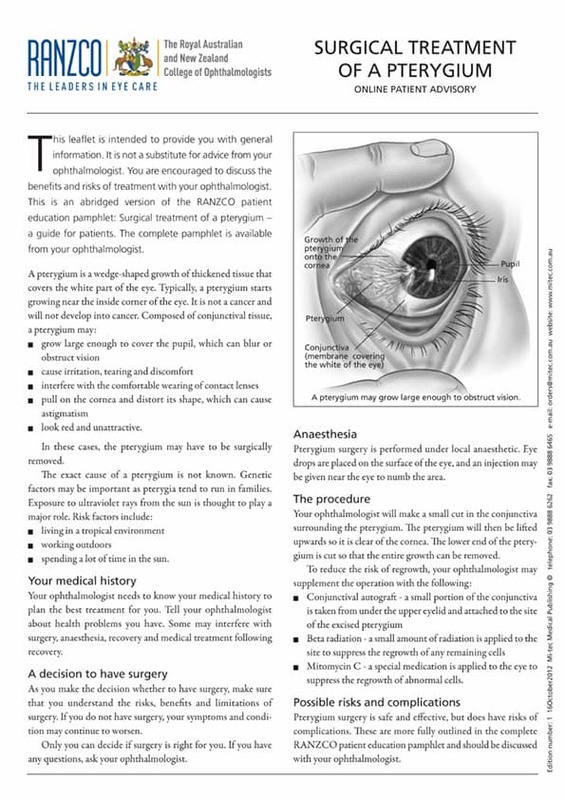 Typically, a pterygium starts growing near the inside corner of the eye. It is not a cancer and will not develop into cancer. This leaflet is intended to provide you with general information. It is not a substitute for advice from your ophthalmologist. You are encouraged to discuss the benefits and risks of treatment with your ophthalmologist. 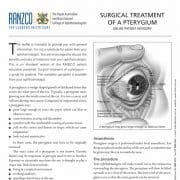 https://drjai.com.au/wp-content/uploads/2017/03/Pterygium.jpg 842 595 admin https://drjai.com.au/wp-content/uploads/2017/03/Artboard-1-1-300x82.jpg admin2017-03-05 02:18:282017-03-30 04:11:41What is Pterygium?